Home Latest Stories Eleven Prime Ministers, Not Just Two! Ever since he started his campaigning for the Lok Sabha elections on March 28, Prime Minister Narendra Modi’s speeches across the country focused on the national security and development, with Balakot Air Strike being the key bragging point, as he sought his re-nomination to country’s top post. However, on April 1, what took the center stage in his address at Telangana was former chief minister Omar Abdullah. “Two prime ministers for Hindustan? Do you agree with it? Congress has to answer and all the ‘Mahagathbandhan’ partners have to answer. What are the reasons and how dare he(Omar) say that”, Modi had said on that evening. 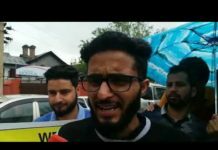 Barely three hours before, Omar had vowed to restore the ‘autonomy’ of Jammu and Kashmir, including reviving the post of ‘Sadar-e-Riyasat’ and ‘Wazir-e-Azam’. 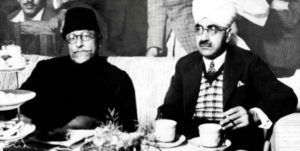 The Governor and Chief Minister of Jammu and Kashmir, after joining the Union of India in 1947, were called as “Sadar-e-Riyasat” and “Wazir-e-Azam” until March 1965. Addressing a rally at Bandipore in North Kashmir, Omar had said his party will not allow any attacks on J and K’s special status and will work to get back what was “infringed upon”. “…we will fight any attempt that is aimed to fiddle with our state’s status. On the contrary, we will strive to get back what was infringed upon. We will work towards getting back the coveted posts of Sadr-e-Riyasat’ and Prime Minister for our state,” he had said. 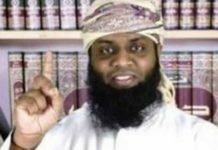 Since that fateful evening, Omar’s remarks have figured in every speech Modi has made, and has been made a part of BJP’s nationalist pitch, taking the attack to Omar and his chief competitor in Delhi—the Congress which allied with National Conference in J&K for the Lok Sabha elections. Perhaps Modi seems to have forgotten that India, till 1950, had far more than two “prime ministers”. In fact, starting from 1937 and going up to when the Indian constitution was adopted in 1950, every Indian province had a prime minister. The Government of India Act, 1935, passed by the British parliament was a proposed constitution for India, providing the colony an unprecedented measure of self-government. The Act envisaged a politically united subcontinent, with an Indian Federation consisting of British Indian provinces and the princely states, but could never be implemented for a number of reasons. What, however, trickled down was a small portion of the grand scheme–democratic government in the 11 provinces of British India. These 11 provinces were Madras, Bombay, Bengal, United Provinces, Punjab, Bihar, Central Provinces and Berar, Assam, North West Frontier Province, Orissa and Sind. In fact, the elections to be held two years later exceeded international standards at the time, with equal voting rights of women and across castes and creeds, coming 11 years before Britain and 28 years before the United States. The elections were indeed held in the year 1937, under the Government of India Act, 1935, and the Congress managed to form governments in seven of these provinces. In a sign of how much power had been handed to the provinces, the head of a provincial government under this act was called a “prime minister”. The elections yielded eleven prime ministers in India at that time. It may also be noted that as a synonym for prime minister of a province, used was the word “premier” – a feature of British English at the time and used often to describe the British prime minister as well. This might seem odd today but remember, there was no Central government in the way it is thought of today. The Indian government was completely under colonial control, headed by a Viceroy who was accountable only to the British government. Moreover, the independent existence of provinces, with powers different from the Centre, was laid out in law. Even the provincial governor was appointed directly by the British monarch under the Government of India Act, 1935. The Madras Presidency, as the province was known as that time, saw Congress man Chakravarti Rajagopalachari becoming the first prime minister of the presidency where he served until 1940, when he resigned due to Britain’s declaration of war on Germany. He later advocated co-operation over Britain’s war effort and opposed the Quit India Movement. He favoured talks with both Muhammad Ali Jinnah and the Muslim League and proposed what later came to be known as the C. R. formula. 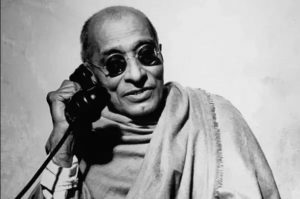 In 1946, Rajagopalachari was appointed Minister of Industry, Supply, Education and Finance in the Interim Government of India, and then as the Governor of West Bengal from 1947 to 1948, Governor-General of India from 1948 to 1950, Union Home Minister from 1951 to 1952 and as Chief Minister of Madras state from 1952 to 1954. The Madras Presidency became the Madras State in independent India in 1947 and the Madras State was renamed to Tamil Nadu on January 14, 1969. In the elections to the two houses of legislatures of the Bombay Presidency, the Indian National Congress was the single largest party by winning 86 of 175 seats in the Legislative Assembly and 13 of 60 seats in the Legislative Council. While, it fell just short of gaining half the seats, it was able to draw on the support of some small pro-Congress groups to form a working majority. B G Kher became the first premier of Bombay and his government lasted till October 1939, when it resigned protesting India’s involvement in the Second World War. In 1939, when the Congress’ BG Kher inaugurated a Dalit housing scheme, the Times of India ran the headline, “Colony opened by the Prime Minister”. On May 14, 1938, there was even a Congress Prime Ministers’ conference in Bombay. The next election was held in 1946, where also a Congress Prime Minister was elected. 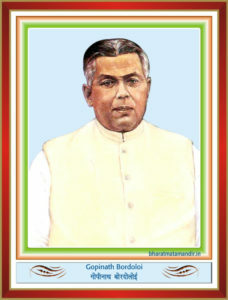 Bengal’s first prime minister was A. K. Fazlul Huq, the leader of the anti-feudalist Krishak Praja Party. Huq formed his first government with the All India Muslim League in 1937. The League withdrew support in 1941, after which Huq forged a coalition with the Hindu Mahasabha led by Syama Prasad Mukherjee. 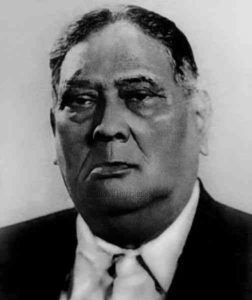 AK Fazlul Huq, the first prime minister of Bengal. He was from the Krishak Praja Party. The Huq-Syama coalition lasted till 1943. 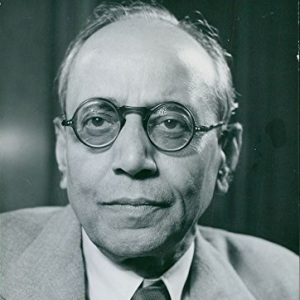 Huq was succeeded by a Muslim League ministry led by Sir Khawaja Nazimuddin. An unpopular conservative, the Nazimuddin ministry lasted till 1945, when governor’s rule was imposed.The next election saw H. S. Suhrawardy lead the Muslim League to a majority and lasted till August 1947. In the elections held in 1937, the Congress won the majority seats, but declined to form a government. Therefore on 1 April 1937, and the Nawab of Chhatari, the leader of the National Agriculturist Parties, was invited to form a minority provisional government. The Congress reversed its decision and resolved to accept office in July 1937. 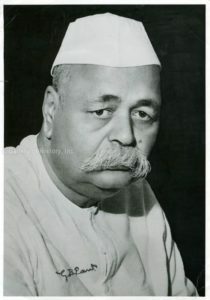 Therefore, the Governor Sir Haig invited Govind Ballabh Pant to form the government and become the prime minister of the provinces which corresponded approximately to the combined regions of the present-day Indian states of Uttar Pradesh and Uttarakhand. In 1939, all of the Congress ministries in British Indian provinces resigned and the United Provinces were placed under the Governor’s rule. In 1945, the British Labour government ordered new elections to the Provincial legislatures. The Congress won a majority in the 1946 elections in the United Provinces and Pant was again the Premier, continuing even after India’s independence in 1947. 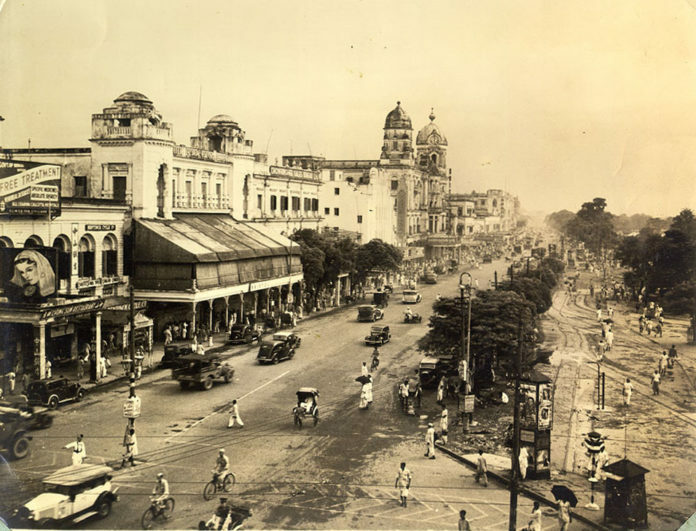 On August 6, 1938, the Times of India ran a headline, “UP Prime Minister’s Assurance” while reporting on a session of the United Provinces (now Uttar Pradesh) Assembly. Similar to other provinces, government in Punjab was headed by the Prime Minister from April 1937 till March 1947, when the position was dissolved upon the Partition of India in 1947. The Unionist Party was the principal legislative force in the province. It received support from legislators of the Punjab Muslim League, the Indian National Congress and the Sikh Akali Dal at various periods. 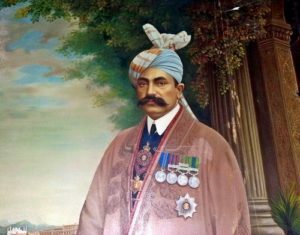 After taking over leadership of the Unionist Party from Sir Fazli Husein, Captain Sir Sikandar Hayat Khan led his party to victory in the 1937 elections, and also supported the drafting of the Lahore Resolution in 1940. 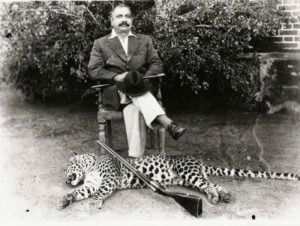 Malik Khizar Hayat Tiwana took over from Khan in 1942 and was reelected in 1946 elections as well. The Indian National Congress took a majority of the seats but declined to form the government. A minority provisional government was formed under Muhammad Yunus. Later, the Congress reversed its decision and resolved to accept office in July 1937. Therefore, the Governor invited Srikrishna Sinha to form the government and he became the first prime minister of the province. In 1939, along with Congress ministries in other provinces, Sinha resigned in protest of the Governor-General’s declaration of war on Germany without consulting with Indian leaders, and Bihar came under Governor’s Rule. Another round of elections were held in 1946, yielding another Congress majority, and Sinha again became Premier. Finally on 15 August 1947 Bihar Province became part of independent India. On July 4, 1946, Times of India reported that a committee consisting of “Dr Rajendra Prasad, Mr SK Sinka (Prime Minister of Bihar) and Mr AN Sinha (Finance Minister)” would select Congress candidates for the upcoming Constituent Assembly elections. With its capital at Nagpur, the Central Provinces comprised British conquests from the Mughals and Marathas in central India, and covered parts of present-day Madhya Pradesh, Chhattisgarh and Maharashtra states. It became the Central Provinces and Berar in 1936. In 1937 elections, Congress took a majority of the seats but declined to form the government, paving way for a minority provisional government under E. Raghavendra Rao. The Congress reversed its decision and resolved to accept office in July 1937. Therefore, the Governor invited N. B. Khare to form the government in August 1937. Khare resigned in 1938, and Ravi Shankar Shukla next became Premier. In 1939, along with Congress leaders from other provinces, Shukla resigned in protest of the Governor-General’s declaration of war on Germany without consulting with Indian leaders, and the Central Provinces & Berar came under Governor’s Rule. Another round of elections were held in 1946, yielding another Congress majority, and Shukla again became Premier. Created in 1912 by the partition of the Eastern Bengal and Assam Province, this province’s capital was in Shillong. The Congress had the maximum number of seats with 38 members but declined to form a government. Therefore, Sir Syed Muhammad Saadulla was invited to form the government. Saadulla’s government resigned in September, 1938 and the Governor then invited Gopinath Bordoloi. 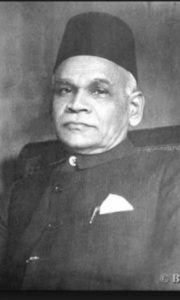 Bordoloi’s cabinet included future President of India Fakhruddin Ali Ahmed. In 1939, all of the Congress ministries in British Indian provinces resigned and a new government under Saadulla was formed. Saadulla remained as the Premier or Chief Minister of Assam till 1946 barring a brief period of Governor Rule. When fresh elections to the provincial legislatures were called in 1946, the Congress won a majority in Assam and Bordoloi was again the Chief Minister. Prior to the Independence of India, on 1 April 1946, Assam Province was granted self-rule and on 15 August 1947 it became part of the Indian Union. Bordoloi continued as the Chief Minister even after India’s independence in 1947. The NWFP was a province of British India and subsequently of Pakistan, where it became Khyber Pakhtunkhwa province in 2010. In the 1937 elections, no single political party was able to gain a majority and hence Sahibzada Abdul Qayyum was made the first prime minister as a government nominee. However, this government could not last more than 6 months as a vote of no-confidence was passed against him in September 1937. 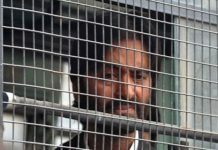 He was replaced by the Congress ministry headed by Dr Khan Abdul Jabbar Khan, who was succeeded by Sardar Aurangzeb Khan, before Khan Abdul Jabbar Khan returned to power. During the Partition of India, a referendum was held in July 1947 to decide the future of NWFP, in which the people of the province decided in favor of joining Pakistan. Orissa Province was created in April 1936 by partition of the Bihar and Orissa Province. It is now the State of Odisha. Elections were held in 1937, and the Indian National Congress took a majority of the seats but declined to form the government. A minority provisional government was formed under Krushna Chandra Gajapati, the Maharaja of Paralakhemundi. The Congress reversed its decision and resolved to accept office in July 1937. Therefore, the Governor invited Biswanath Das to form the government. In 1939, along with Congress ministries in other provinces, Das resigned in protest of the Governor-General’s declaration of war on Germany without consulting with Indian leaders, and Orissa came under Governor’s Rule till 1941 when Krushna Chandra Gajapati was again made the Premier, till 1944. Another round of elections were held in 1946, yielding another Congress majority, and a government was formed under Harekrushna Mahatab till India’s independence. Elections in Sindh were held in January and February 1937, the first elections in the province after its creation in 1936. After the election the governor of Sindh asked the leader of the Sindh Muslim Political Party to form a cabinet. Largescale defections took place from the ranks of the Sindh United Party and the Sindh Azad Party in the assembly. Ghulam Hussain Hidayat Ullah was the first Prime Minister of Sindh, followed by United Party senior leader Allah Bux Soomro who served from March 23, 1938 – April 18, 1940 until a no-confidence motion was passed against him by the Indian National Congress and Muslim League. He was briefly elected back to power and served briefly from March 27, 1942 – October 14, 1942, but was dismissed by the Governor due to his support for the Quit India Movement, paving way for Ghulam Hussain Hidayat Ullah, who then served till August 14, 1947, when it became the part of Pakistan. 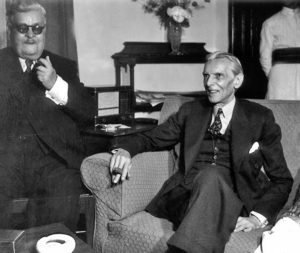 In August, 1947, however, as part of the transfer of power from British to Indian hands, there was a hurried creation of two dominion governments under the British parliament’s Independence of India Act, with both India and Pakistan appointing a “prime minister” at the federal level. However, even then, nature and powers of the provincial governments remained unchanged. 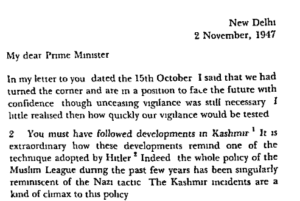 For example, on November 2, 1947, as part of his fornightly letter to the provinces, Nehru himself uses the salutation “My dear Prime Minister” to refer to the head of a provincial government. Nehru writes to the the heads of the provincial governments calling them “prime ministers” two and a half months after independence. 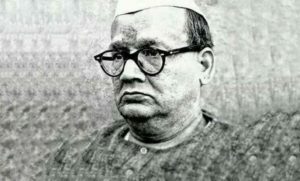 On November 21, 1947, when the first Assembly session of the newly constituted province of West Bengal took place, the Congress’ Prafulla Chandra Ghosh was addressed as “prime minister”. On November 2, 1948, as a Linguistic Provinces Commission set down to work to make states based on languages, the Times of India’s headline read: “Early solution of linguistic units issue urged – Bombay Prime Minister’s letter to inquiry commission”. It was not long before the nomenclatural change begun to happen. New Indian states formed from what were earlier princely states started to get a head of government called a “chief minister”. In Hyderabad, for example, a government run by the Indian Army was replaced by one headed by Chief Minister MK Vellodi on December 1, 1949. Moreover, even for earlier provinces, it became more common to use the synonym “premier” leaving “prime minister” for Jawaharlal Nehru’s exclusive use. On June 24, 1949 for example, a Times of India headline read, “Hunger and want are reasons for unrest in Calcutta – West Bengal premier’s views,” referring to Congressman Bidhan Chandra Roy. Nehru himself implemented this in his language. After writing six fortnightly letters to the “prime ministers” of the various provinces, Nehru seems to have had a realisation that he was also prime minister. As a result, from mid-December, 1947 onwards he switched to using the salution “premier” to address the heads of provincial governments. On January 26, 1950, the Government of India Act, 1935 was replaced by a new constitution framed by the Constituent Assembly of a free India. “There shall be a council of ministers with a chief minister at the head,” read Article 163, describing the structure of government in the states. Following the change in the law, Nehru also made the required adjustments in his fortnightly provincial dispatches. His letter on January 19, 1950, begins with “My dear Premier” but on February 2, 1950 – the first letter after the new Constitution came into force – the salutation is “My dear Chief Minister”. However, Jammu and Kashmir was a special case since it was a princely state that acceeded to the Indian Union in 1947 under a specific set of conditions. Kashmir maintained its special status when it adopted its own constitution in 1956, the only state in India to do so. As a result, the Indian Constitution’s Article 163 did not apply there and the head of the government continued to be called Wazir-e-Azam or Prime Minister till 1965, when the state Assembly changed the title to “chief minister” (the head of the state used to be called Sadr-e-Riyasat till then, and was changed to governor).